Superhero stories are sure getting darker and darker in terms of their story content, particularly DC. They seem to be keen on following the path of shock story telling with grandiose crossovers and an endless parade of death and torture - and those are just the movies. The comics, a medium that enjoys much less exposure than their cinematic counterparts, are free to go in even more depraved depths than their film counterparts. I could list examples, but really, just do a search for "shocking" or "depraved" comic book moments and you'll get enough examples. But at least DC can acknowledge the need for a break from the grim and gritty once in a while, and there is still a place in their publishing house where you can still find and enjoy a good "funny book", the DC Kids line. The DC Kids line is where you can enjoy many self contained stories that may bring a smile if not a chuckle now and again (if for no other reason than the odd editing mistake now and again). 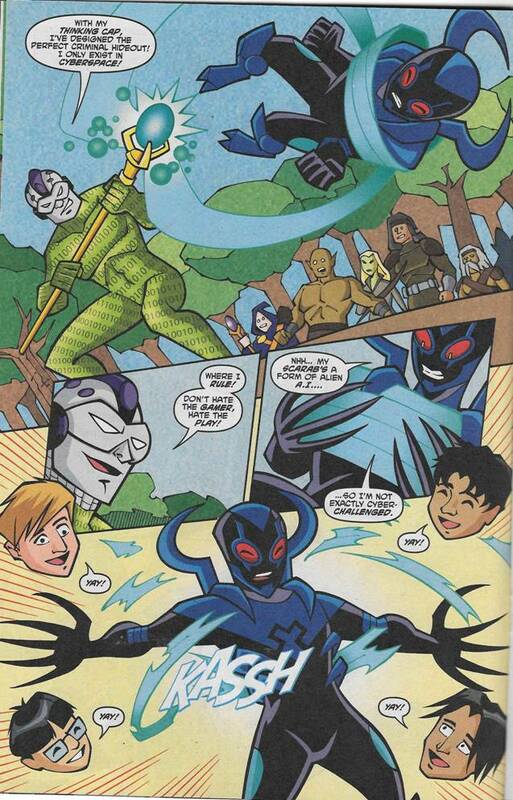 Unless you count the time Batman and Blue Beetle seemed to kill a guy. 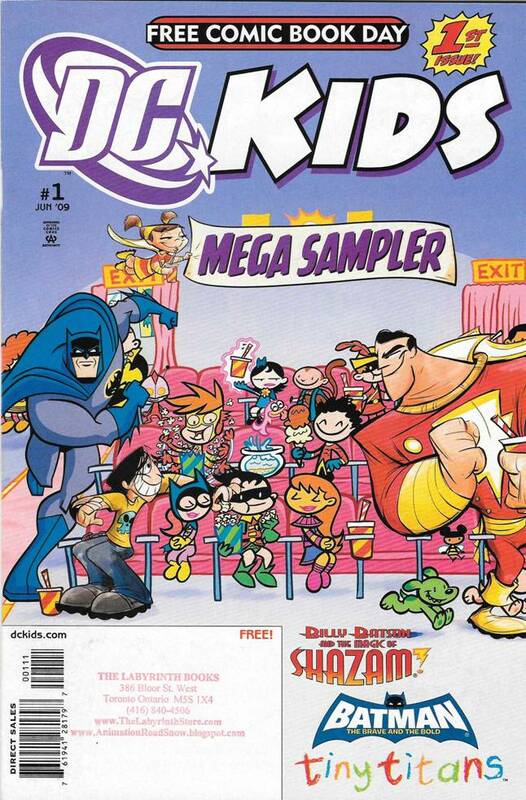 During Free Comic Book Day in 2009 DC offered a sampler of their DC Kids line of comics. 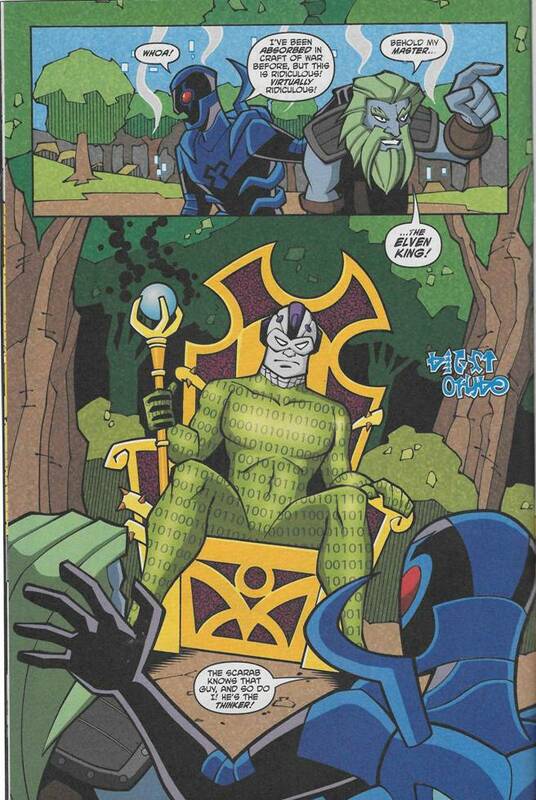 What we'll be focusing on is the Batman: The Brave and the Bold story featuring Blue Beetle, and based on (the now defunct) child friendly cartoon show. We'll skip over some of the set-up in our story of interest, here's just a brief rundown instead. Basically Batman and Blue Beetle respond to a theft being perpetrated by characters straight out of an online videogame (see if you can guess which one the writer is parodying with Beetle's caption below). 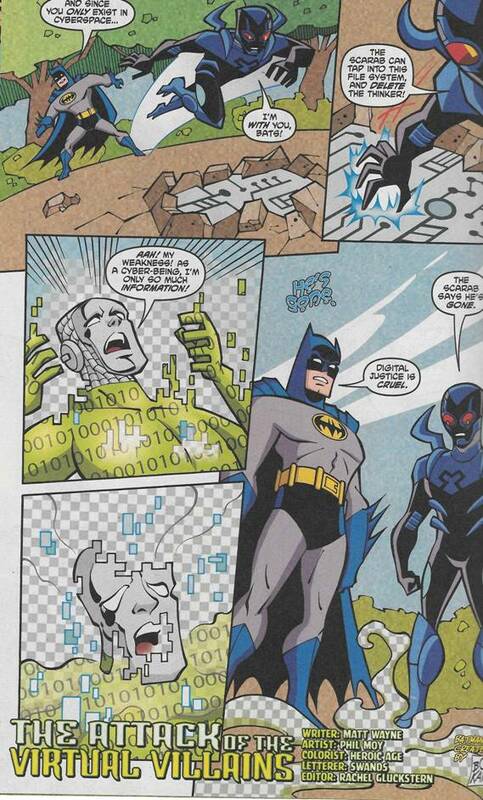 Both Batman and Beetle end up being absorbed into the virtual world the characters come from. Batman appears to vanish before Beetle's eyes, leaving Beetle alone to face the virtual world's master! Naturally the villain decides to take down the hero, inexplicably explaining his entire plan in the process, and providing an important plot point. Did Beetle... did Beetle just decapitate a bunch of kids? Meh, at least they seem cool with it. He's smoking! 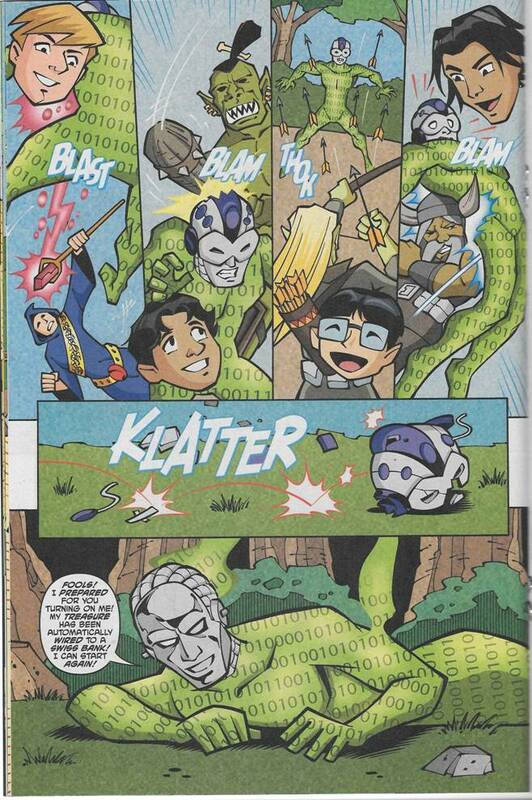 In a kid's comic! He's truly Satan's love child! Being a Batman team-up, Batman shows up to thwart Finker / Thinker's plan of transferring his ill gotten gain and tipping Blue Beetle on how they can defeat their foe - WITH EXTREME PREJUDICE!!! Damn Batman, but you're one cold S.O.B. So there are your heroes, staring down at the puddle of goo that was The Thinker, admiring their handiwork. Now I know what you're thinking, that this was just a virtual man killed in a virtual world, it doesn't count, but I disagree. Look, Batman and Beetle are stuck in the same virtual world as the Thinker (and they're still stuck there now - probably permanently since they just melted the guy who digitized them). If Batman or Beetle were killed in the virtual world you'd have to think the same rules apply to them as the Thinker and that they'd also be "gone". If you only exist in the virtual world and are "deleted" like the Thinker, then you are dead, plain and simple. So Batman and Beetle, in a kid's comic book, are cold blooded killers. Well, Beetle anyway. For all we know, Batman meant that since Thinker only exists in the virtual world they could trap him in a virtual jail using a firewall or something. Instead Beetle misinterpreted Batman's suggestion as "okay Batman, I hear you, kill him!" The kid jumped the gun and Batman just doesn't have the heart to tell him otherwise, especially since they're now stuck with each other in this virtual world until the end of time (or the server crashes).